On the first full moon of the fourth Lunar month, Buddhist practitioners from every corner of the world enthusiastically participate in the grand celebration of the day that marked Shakyamuni Buddha's holy arrival into this world. Buddha descended to this world to benevolently shine the golden light of compassion and wisdom to enlighten and liberate sentient beings from the perpetual cycle of eternal sufferings and deaths. 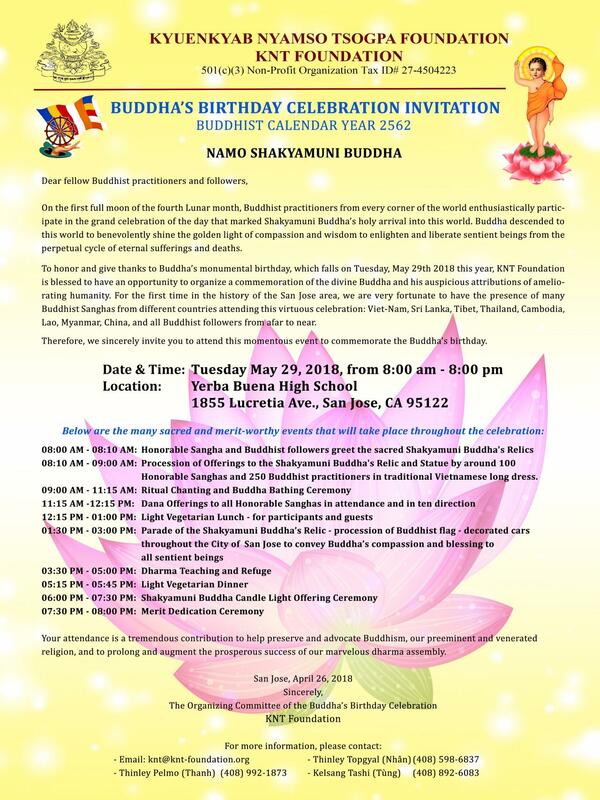 To honor and give thanks to Buddhas monumental birthday, which falls on Tuesday, May 29th, 2018 this year, KNT Foundation is blessed to have an opportunity to organize a commemoration of the divine Buddha and his auspicious attributions of ameliorating humanity. 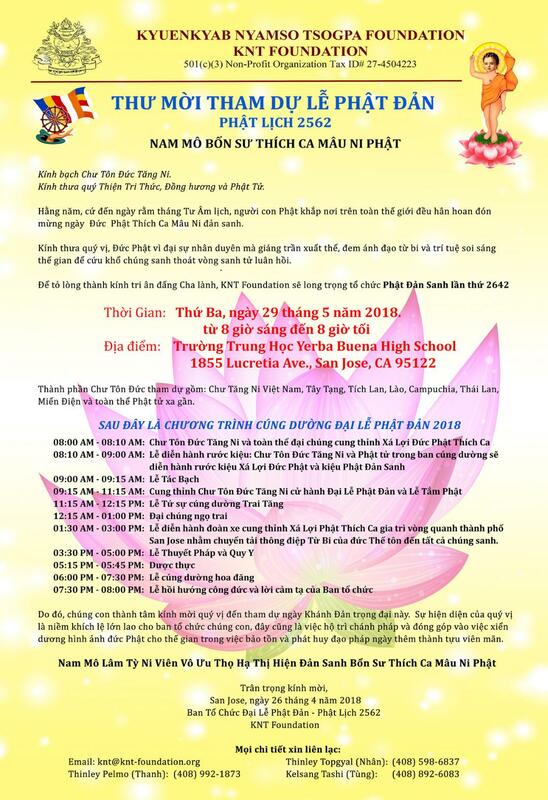 For the first time in the history of the San Jose area, we are very fortunate to have the presence of many Buddhist Sanghas from different countries attending this virtuous celebration: Viet-Nam, Sri Lanka, Tibet, Thailand, Cambodia, Lao, Myanmar, etc.., and all Buddhist followers from afar to near. 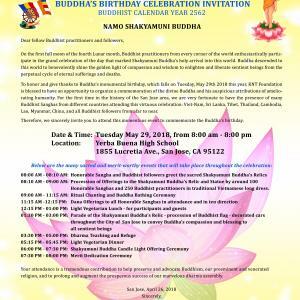 Therefore, we sincerely invite you to attend this momentous event to commemorate the Buddhas birthday. 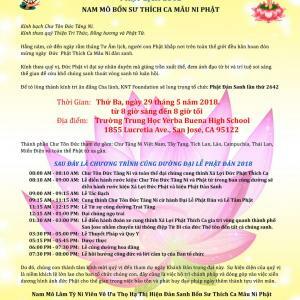 Honorable Sanghas and 250 Buddhist practitioners in traditional Vietnamese long dress. Your attendance is a tremendous contribution to help preserve and advocate Buddhism, our preeminent and venerated religion, and to prolong and augment the prosperous success of our marvelous dharma assembly.